This is a FTP Client which helps you to access files on remote FTP server. Directly access remote files. Upload and download folders and files. 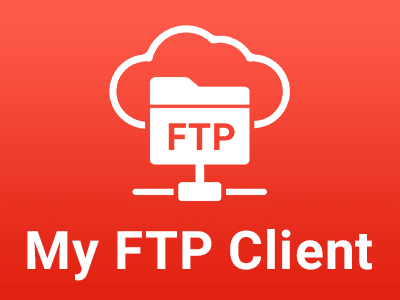 My FTP Client is the app for Android to communicate with server. Backup from server to SDCard and From SDCard to Server. Application that let you transfer files from local Drive to Remote Server and vice a versa through FTP connection. This application will allow you to easily interact with an file server from your smartphone or your tablet. You will be able to create folder, rename, delete, move, compress, download and send some files. - It’s simple, lightweight, elegant, and easy to use.